Sweeten up your morning with these adorable buds. 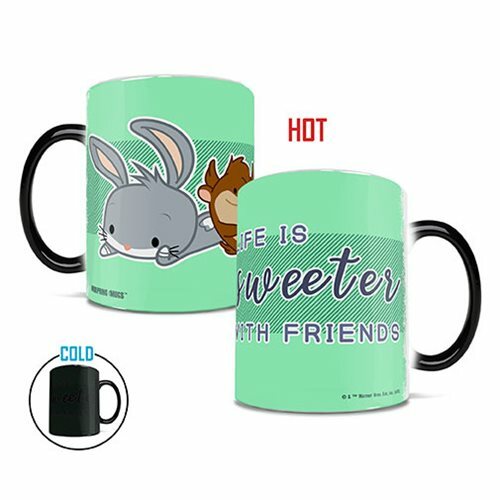 This Looney Tunes Cartoon Life is Sweeter Heat-Sensitive Morphing Mug reveals an image of baby Bugs and Taz and the words "Life is sweeter with friends" when hot liquid is added. The exterior of this 11 oz. 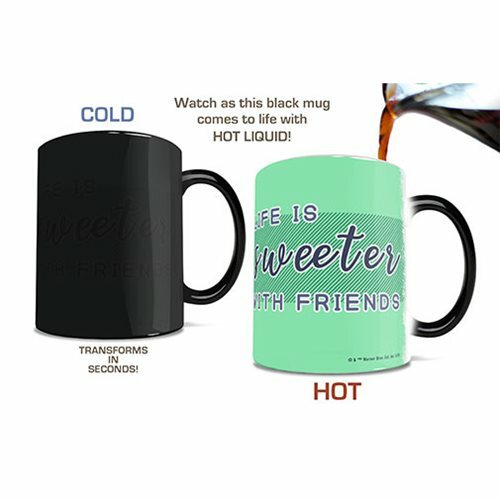 mug transforms from black as hot liquid is added, revealing the hidden image in full vivid colors. 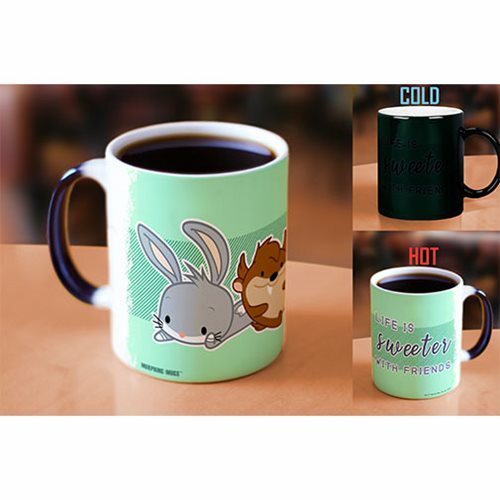 Makes a great gift for Looney Tunes fans. Hand wash only. Not dishwasher safe. Do not microwave.